The flow of drugs into America from south of the border has been one of the cornerstone arguments in President Donald J. Trump’s agenda to secure the nation’s border with Mexico. Today, the DEA announced it has arrested two men who routinely smuggled drugs across the country into New Jersey. A new sanctuary state directive in New Jersey, however, could be blocking the release of the nation of origin of the two men. TRENTON, N.J. – Two men have been arrested in Riverside, California, for their alleged roles in shipping over 30 pounds of crystal methamphetamine and conspiring to send an additional five kilos of fentanyl into New Jersey, U.S. Attorney Craig Carpenito announced today. Isabel Otanez-Sanchez, 25, and Jesus Zavala-Torres, 33, both of San Jacinto, California, are charged by complaint with one count of conspiracy to possess with intent to distribute 500 grams or more of methamphetamine and 400 grams or more of fentanyl. Torres appeared Feb. 13, 2019, before a federal magistrate judge in Riverside, and Sanchez is scheduled to appear in federal court in Riverside today. In September 2018, law enforcement officers received information that an individual known as “Pancho,” later identified as Sanchez, was shipping large quantities of narcotics from California to New Jersey. On Jan. 28, 2019, Sanchez agreed to send 30 pounds of methamphetamine to a law enforcement confidential source (the “CS”) in Atlantic City, New Jersey. Torres and Sanchez hid 28 packages of methamphetamine inside a salvaged vehicle that was shipped to New Jersey from California via a car carrier service. Agents recovered the methamphetamine from the car’s gas tank. On Feb. 12, 2019, the CS met with Sanchez and Torres in Riverside to pay for the methamphetamine. At this meeting, Sanchez and Torres also agreed to sell an additional five kilos of fentanyl to the CS, which would be shipped to the CS in New Jersey in the same manner as the methamphetamine. After agreeing to the sale of the fentanyl, Torres left the meeting to retrieve two kilos of fentanyl to show to the CS prior to shipment. 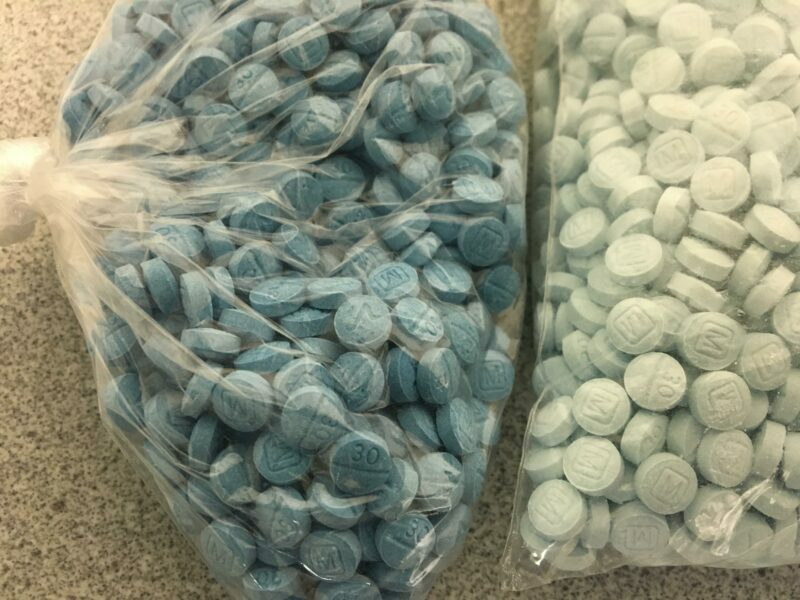 As Torres was driving back to the meeting, he was stopped by local law enforcement officers and two kilos of fentanyl were recovered from his automobile. Both defendants face a mandatory minimum penalty of 10 years in prison, a maximum potential penalty of life in prison, and a $10 million fine. U.S. Attorney Carpenito credited special agents of the Department of Homeland Security, Homeland Security Investigations (HSI), Cherry Hill, under the direction of Special Agent in Charge Brian Michael in Newark, with the investigation leading to the arrests. He also thanked HSI in Riverside; the N.J. State Police; the Hemet, California, Police Department; and the Atlantic City Task Force for their assistance. The government is represented by Special Assistant U.S. Attorney Meriah Russell of the U.S. Attorney’s Office Criminal Division in Trenton. The charge and allegations in the complaint are merely accusations, and the defendants are presumed innocent unless and until proven guilty.